All-Natural Support for Heart Health! 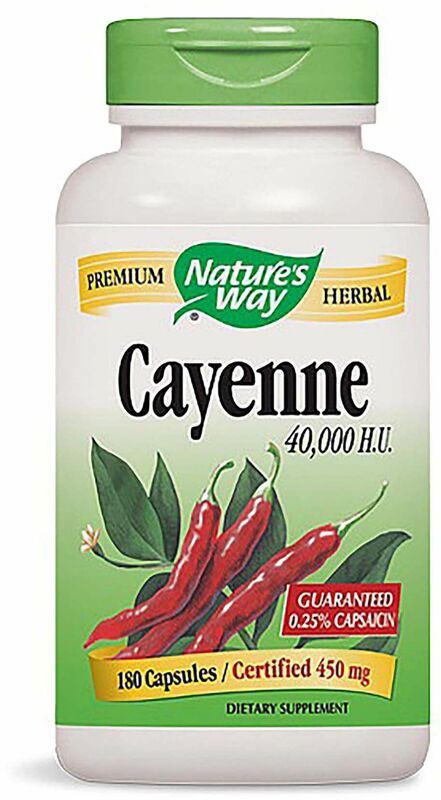 Nature's Way cayenne is a special blend that maintains a consistent potency of 40,000 H.U. Cayenne is a blood-red warming herb that has an invigorating effect on several body systems.